With more and more people turning to natural products these days, CBD is at the top of the list for trending wellness products. While many people are still nervous to take CBD internally because they think they’ll fail a drug test or get high –– which, by the way, CBD does not get you high –– CBD topicals are growing in popularity. Last week, both CVS and Walgreens, two of the biggest pharmacy chains in the United States, announced they will soon be selling an assortment of CBD lotions, creams, salves, and patches in stores across multiple states. This is huge news. CBD topicals are products including lotions, creams, balms, salves, or oils that are applied to the skin. CBD topicals can provide localized relief of muscoskeletal pain and inflammation, as well as treat skin disorders such as eczema and psoriasis, rashes, stretch marks, and even acne. Since CBD topicals are non-intoxicating and offer many therapeutic benefits, they make an excellent choice for someone who is new to the CBD world or someone who is afraid of ingesting CBD. We assure you, however, that CBD taken internally offers a whole host of different therapeutic benefits. We always recommend both topical and internal use to see the most benefits! First and foremost, CBD-infused topicals work because CBD binds to receptors in the skin called CB2. CB2 is expressed in keratinocytes - epidermal cells that produce keratin, the stuff that makes up our hair and nails. According to one study, CB2 stimulation in keratinocytes evokes the release of analgesic (pain relieving) opioid peptides such as β-endorphin. CB2 receptors are also present in sebaceous glands - glands that produce sebum to keep both the hair and skin moisturized; sensory neurons - nerves cells responsible for converting external stimuli like touch into electrical impulses; and immune cells. CB2 receptors are found throughout the body and are activated by naturally occurring endocannabinoids and phytocannabinoids (plant-derived cannabinoids) like CBD. The actions of cannabinoids on skin cannot be explained solely on the basis of CB2 receptor-site binding. CBD also binds to various TRP receptors, or Transient Receptor Potential ion channels. In short, these cellular TRP channels have been implicated in many physiological processes, ranging from pain, itch and temperature sensation. When CBD interacts with these TRP ion-channels, it confers a positive therapeutic effect. One of the biggest barriers for CBD to enter the skin, well, is the skin itself. Skin has three layers: the epidermis, the outermost layer of the skin which provides a waterproof barrier. 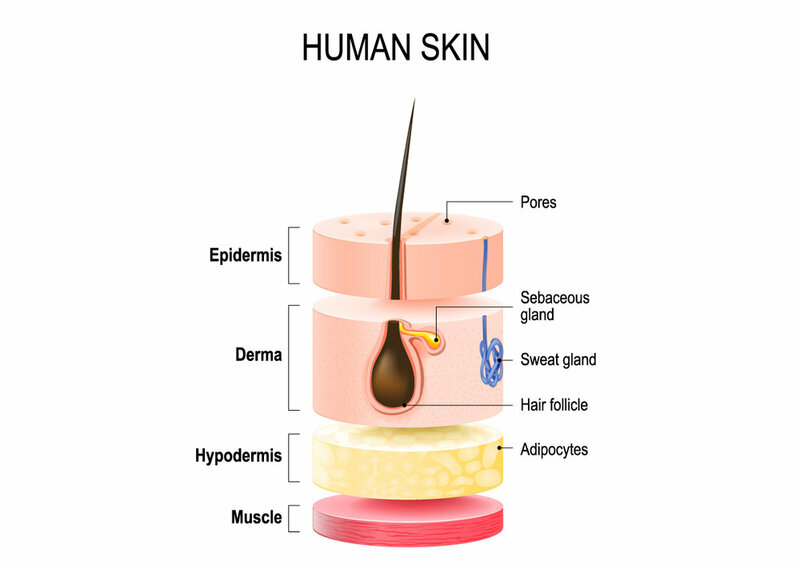 Located beneath the epidermis is the dermis, which contains connective tissue, hair follicles, sweat and oil glands. The deepest layer of the skin, the hypodermis, is made of fat and connective tissue. In essence, the skin is an organ of protection from outside mechanical forces, variations in temperature, micro-organisms, radiation, and toxins. So although we have learned that CBD binds to various receptor sites in the skin and confers a therapeutic effect, the skin must first be penetrated for the CBD to work effectively. Generally speaking, CBD topicals are comprised of a combination of carrier oils. It’s easy to think that these natural oils readily absorb into your skin and hair, but actually only those with small molecules have the ability to truly penetrate the hair shaft and epidermis. Larger plant-based molecules tend to sit on the surface of the skin and therefore not much CBD actually penetrates through the epidermis.  In order to get around this problem, many CBD companies use the following approach: the higher the CBD content of the topical, the more CBD that penetrates the skin. Not only is this a bad solution, it’s an expensive one. As a consumer, you are burdened with paying higher prices for a higher milligram CBD topical that may only be minimally effective at treating pain or inflammation. Penetration enhancers are chemical substances which help with transdermal drug delivery. 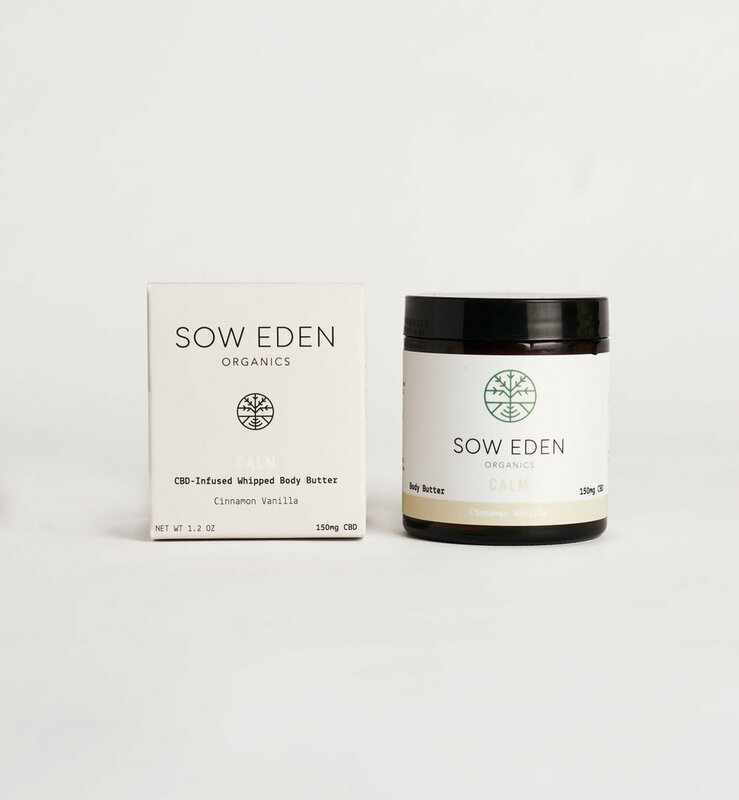 Since at Sow Eden we’re all about natural and organic, we don’t believe in synthetic chemical penetration enhancers. Of the penetration enhancers, terpenes, the volatile aromatic compounds that give plants their characteristic scent, are arguably the most highly advanced and safe penetration enhancers. Terpenes act as penetration enhancers by disrupting the stratum corneum, the outermost dead-skin layer of the epidermis. Since CBD is a lipophilic (fat-soluble) molecule, it requires transport by very specific terpenes, especially limonene. Unfortunately, some companies out there are misleading consumers by claiming you need a certain amount of CBD to make a CBD topical effective. This is absolutely not true. Just because a CBD topical has 1000 mg or more doesn’t automatically mean it will be effective or more effective than something with 150 mg.
Our CBD BoDY butters ARE A MUST TRY! Body butter is much different than your traditional cream or lotion. Lotions and creams contain a high proportion of water, whereas body butters do not. Some lotions can contain up to 70% water! Although our bodies are comprised of up to 80% water, it’s easy to see that when we take a shower or bath, dryness quickly ensues. Lotion attempts to minimize the drying factor by combining other moisturizing ingredients and oils together. But our skin doesn’t lie - lotions don’t last long and they’re often minimally effective at providing deep moisturizing power. At the end of the day, with lotions and creams you’re paying for a high percentage of water! In general, body butters are richer and more luxurious than lotions or creams. Because of their thick texture and high oil content, body butters create barriers that both nourish and condition dry or damaged skin. This results in skin that is visibly smoother and soft like silk. When included in your daily skin care regimen, there is absolutely no comparison to lotions or creams. It just so happens that in GLOW, our Bergamot Grapefruit scented whipped CBD body butter, we use organic Bergamot (Citrus bergamia) and Red Grapefruit (Citrus paradisi) essential oil. These oils are cold-pressed from the rinds of these two amazing citrus fruits. Both Bergamot and Grapefruit essential oil contain a high concentration of d-Limonene. The high limonene content of GLOW helps the CBD penetrate deeper into the skin, making the 150 mg CBD content akin to a 1000 mg topical. Limonene also possesses anti-inflammatory and pain relieving qualities. The uplifting citrus scent of GLOW also confers an anti-anxiety effect. GLOW provides the perfect balance of pain relieving and anti-inflammatory properties with aromatherapy! Our other CBD-infused whipped body butter, CALM, is made with vanilla bean extract and cinnamon bark oil (Cinnamomum zeylanicum). Both vanilla and cinnamon bark contain a terpene called Eugenol. Like Limonene, Eugenol aids in transdermal penetration and CBD transport. Eugenol has pain-relieving benefits of its own and has a clove-like smell. It is known to fight bacteria and inhibits the growth of many fungi, making CALM a great addition to your skincare regimen. Cinnamon bark oil also contains a high concentration of Cinnamaldehyde. Cinnamaldehyde promotes blood circulation and collagen expression of the skin, making CALM great for diabetics or those suffering from atopic dermatitis such as eczema or plaque psoriasis. Each jar contains over 1.2 oz (actually 1.5 oz, we give you extra!) of our whipped body butter. Apply the topical after a warm shower or bath. Exfoliate your skin to remove the dead skin cells. Your pores will be now be open and the skin will be more willing to absorb the product. If you are unable to shower or bathe before application, you can use a hot washcloth and pre-treat the area where you plan to apply the topical. Dry the area and then apply. Apply the topical and rub it into the skin vigorously. Don’t be shy. Use some elbow grease! Rub in a circular motion, and perhaps use a few layers. Use the topical multiple times per day. Don’t just apply it once. We are always happy to answer your questions! Please don’t hesitate to email us at hello@soweden.com or call us directly at 626-239-8273.